This residence is listed on the Michigan Historical Register because of its significance representing the Late Victorian design as applied to the homes of prosperous farmers. In the final decades of the Nineteenth Century, many farmers in the southern half of Michigan amassed considerable wealth. A variety of technological improvements allowed farmers to be more productive. Steam power, for example, was applied to propel farm equipment and much more was learned about what to plant where. An effective railroad system allowed farmers to ship their products locally or nationally. For example, refrigerated cars became common, allowing sides of beef to travel to butchers in distant cities. And the rapid growth of cities created a much larger market for their goods. In the Late Nineteenth Century, some farmers who could afford to do so, commissioned local architects to design impressive homes for them, homes that would have been appropriate for the upscale neighborhoods then developing in cities such as Detroit. This one is a hipped-roof, two-story structure with a full length and decorated porch. The second story is trimmed in brick and displays the segmental arched windows that were popular when this home was constructed. Peter Coan was the first white person to settle in this area of Wayne County, doing so in 1830. By the mid-1840s, the population had grown sufficiently that Taylor Township was carved away from Ecorse Township on March 16, 1847. Those who organized the township selected the name to honor the then popular Zachary Taylor, a military hero with significant accomplishments in the War of 1812, in the three Seminole Wars in Florida and, most recently, in the Mexican War. The following year, Zachary Taylor was elected President of the United States. Interestingly, in that contest, Taylor defeated Detroit resident Lewis Cass who had served as Territorial Governor among other Michigan posts. Cass carried the Wolverine State but lost the election. Indeed, Michigan candidates for the presidency have not done well in national elections with Thomas Dewey (born in Owasso in 1902) losing to Roosevelt in 1944 and Truman in 1948; Gerald Ford (born in Omaha in 1913 but raised in Grand Rapids) lost to Carter in 1976 and Mitt Romney (born in Detroit in 1947) lost to Obama in 2012. In May 1968, Taylor switched its status from that of a township to that of a city. The city of Taylor apparently reached a peak population size of 78,000 about the time of the 1970 Census. Similar to most other Wayne County municipalities, population declined in Taylor and, in 2012, the Census Bureau estimated 62,000 residents—about a 20 percent drop in thirty-two years. 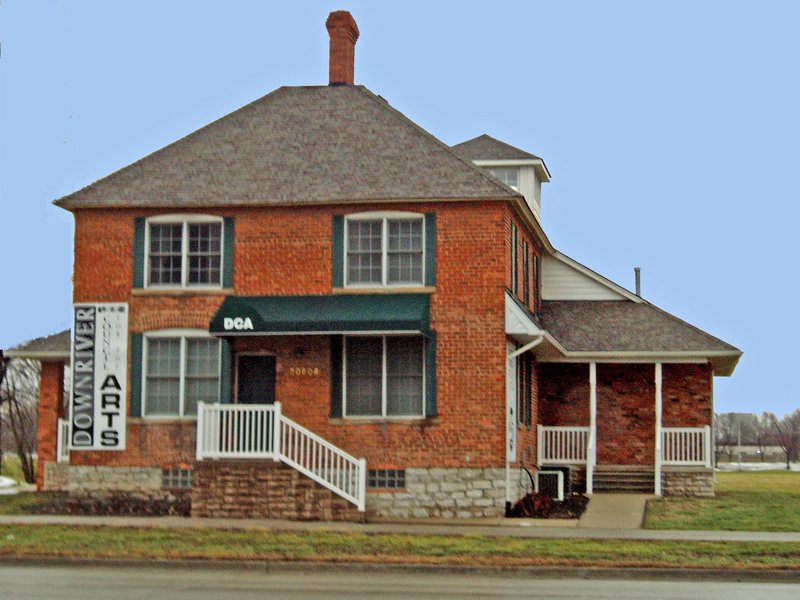 Use in 2013: This residence now provides office space for the Chamber of Commerce of Southern Wayne County.